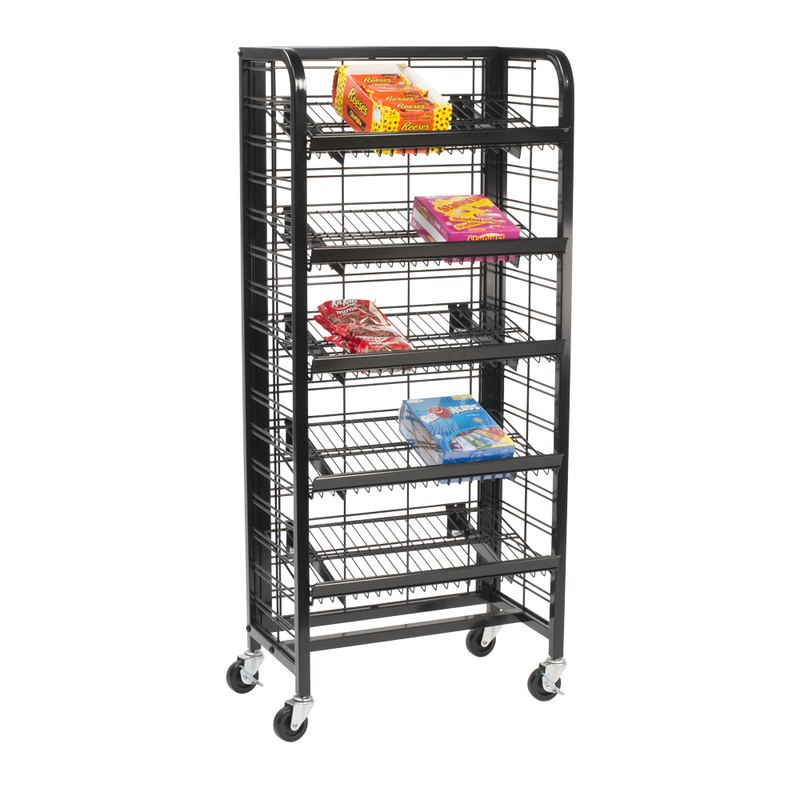 This candy display has lots of shelving space and it is mobile! 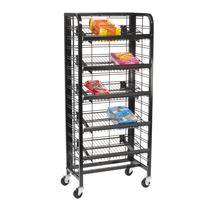 Mobile Candy Rack display a selection of candies, snacks or other impulse items using this 5 shelf display. Shelves can adjust to a 45 degree angle. Wheels make this candy display mobile and versatile. 13 in. D x 52 in. H. in your choice of 24 in. Wide, 36 in. Wide or 48 in. Wide. Extra shelves are available. For additional items, we invite you to take the time to shop our extensive collection of candy displays at Specialty Store Services today.